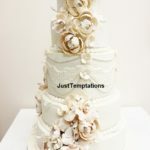 By allowing justtemptations to handle the baking of your custom birthday cake, you have your workload significantly reduced. With more people choosing to outsource their birthday cakes in Scarborough, there is no reason for you not to join the bandwagon. When you combine all the benefits of outsourcing your birthday cake, you get everything it takes to make your birthday or that of your love one the talk of town. Most of the time, people want a birthday cake that stands out and this can only be a custom cake. 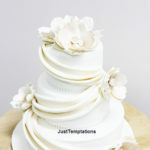 Trust us at justtemptations to bring whatever vision you have about your birthday cake to life. You can explain how you want your cake to taste and look like to our master pastry chefs and they will make it exactly as you want. 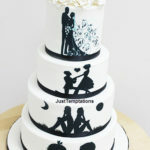 We can also have a message on your cake to express what you want to say to your recipient. Whether it is a sweet16 birthday cake or princess theme birthday cake for your little girl, we have you covered. Baking a cake, an especially a custom birthday cake takes up a lot of time, effort, and knowledge so if you have no idea how to do it, imagine how much time and effort you are going to waste trying to come up with something presentable. Due to their training, our pastry chefs can make custom cakes in record time and you can bet that they will look and taste good. This frees up your time so that you can concentrate on other things such as planning an amazing birthday party. Not all the tools and ingredients required to bake a cake come cheap. As such, you can imagine investing in them for baking a cake once or twice a year when you do not have the guarantee that it will come out correctly. Why not allow us to do it for you simply because it is a worthwhile investment for us and we guarantee excellent results. This saves you all the money you could have wasted. We walk our talk and we deliver on our promise. 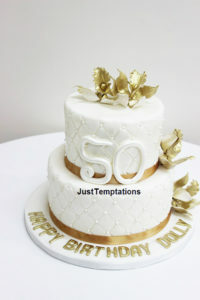 We have been in the cake industry for a long time and our clients in Scarborough can attest to the fact that our products are of premium quality. If it is a quinceanera cake, or just a basic one, we give it our best. We also have the most competitive prices in the region while still ensuring that we do not compromise on the quality of our birthday cakes. Feel free to call or visit us to place an order for your custom birthday cake.